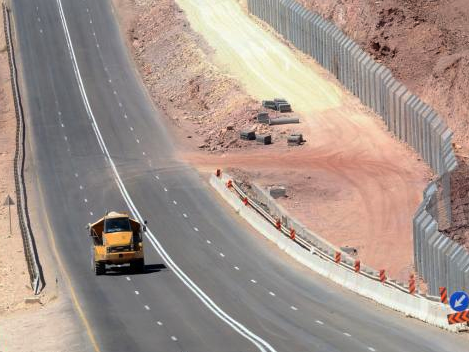 This week, Israeli Prime Minister Benjamin Netanyahu has touted the success of a new border fence that Israel built along its boundary with Egypt to stop illegal infiltrators. In a statement posted at his government website, Netanyahu reported that illegal crossings had declined 99.9%, from 2,000 per month to only two. The main, 144-mile section of the fence was completed in early 2013, according to a January report by the Wall Street Journal. It is sixteen feet high and includes “barbed wire, surveillance cameras and radar.” By comparison, the U.S.-Mexico border is roughly 2,000 miles long, and only about a third is fenced off. The Israeli fence’s construction was accelerated due to security concerns in the years since Egyptian autocrat Hosni Mubarak left power, leaving a vacuum eventually filled by a Muslim Brotherhood government. The new Israeli fence is separate from the fence that runs along, and partially inside, the West Bank, which has successfully stopped infiltrations by suicide bombers. It also placed a small amount of disputed territory on the western, “Israeli” side of the fence while creating some hardship for local land owners and workers.